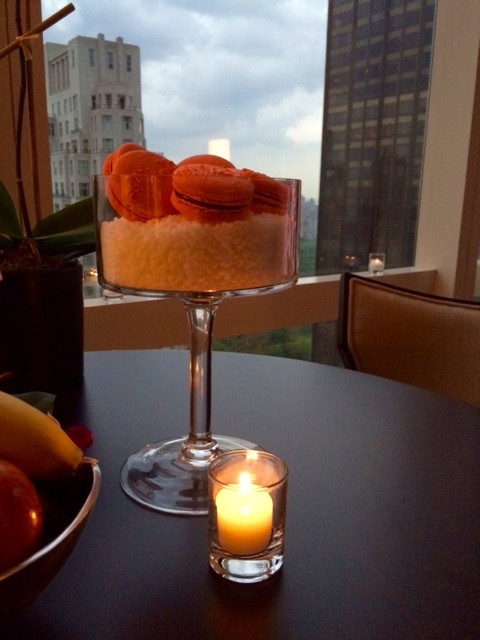 On Tuesday, June 23, 2015 OJ&B was invited to celebrate the reveal of Mandarin Oriental, New York's newly designed suites overlooking Central Park, the Hudson River and the Manhattan skyline. 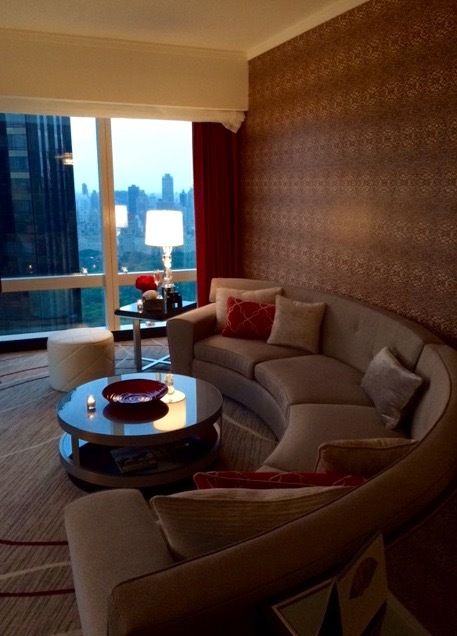 Each opulent suite reflects New York life through the course of a day celebrating the city’s sunrise, dusk and nights. 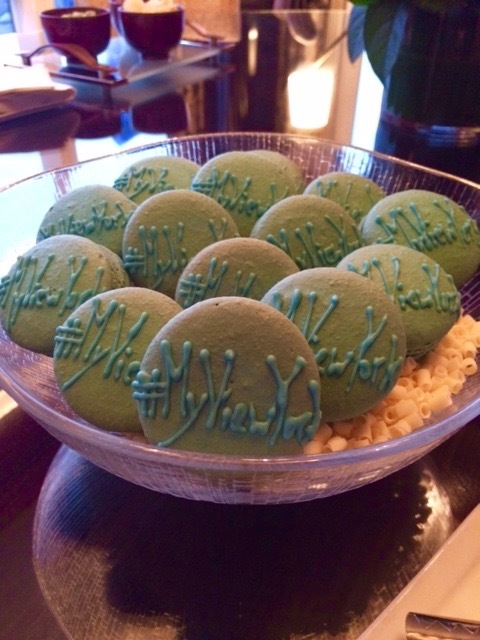 Mandarin Oriental, New York is one of my favorite places in New York City. I always feel so chic and luxurious where I am there so I was so thrilled to be invited to see the newly designed suites designed by by global architecture, design, engineering and planning firm HOK. 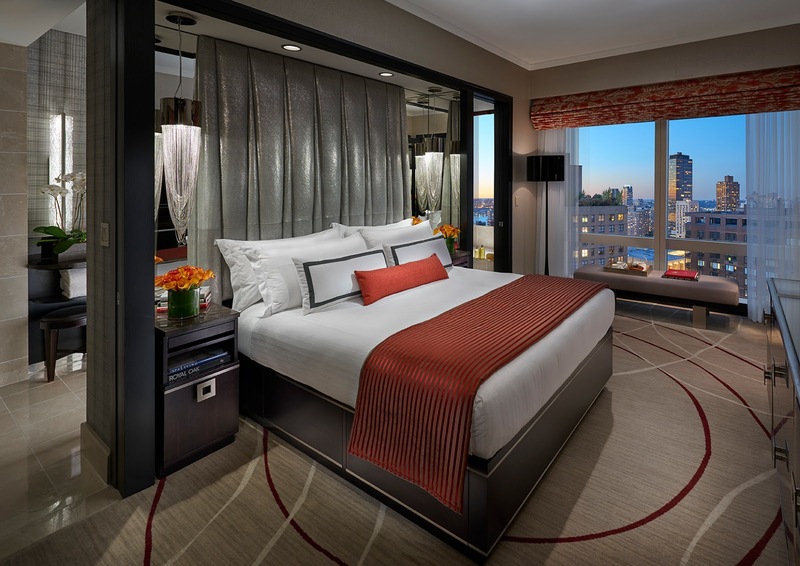 Take a look at the stunning new suites that blend a modern interpretation of Mandarin Oriental’s Asian flair with a luxurious, residential aesthetic commemorating three unique themes and color palettes – New York Sunrise, New York Dusk and New York Nights. has been designed to reflect the quiet hours of New York mornings with vivid hues of orange and yellow. 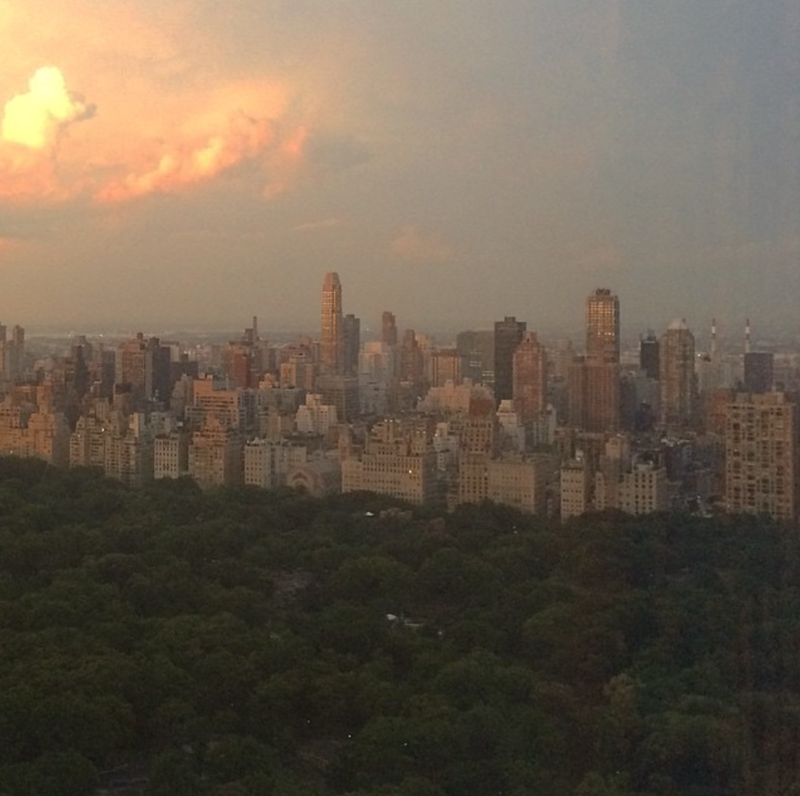 One of the first things that I did in the New York Sunrise: Central Park View Suite was test the couch. It was beautiful but was it comfortable? The answer is yes, yes it is very comfortable! 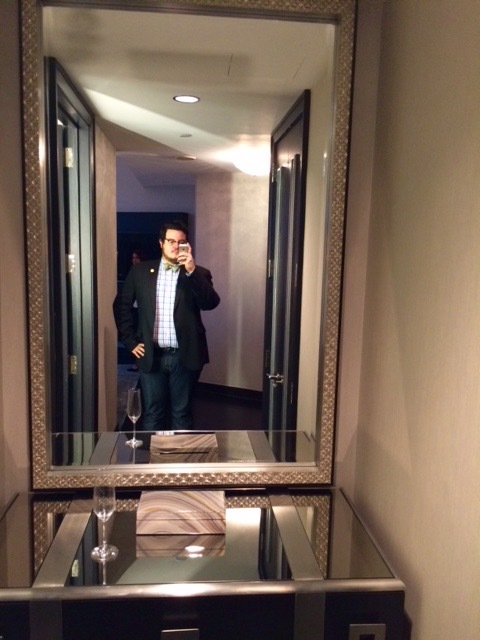 I loved this suite because it felt inviting and cozy and still had a great work area for business needs. As one of the staff members of Mandarian Oriental, New York put it, "The layout of the room allows you to watch the city, the television and the kids on the couch all at the same time while working from the desk area." Each one of the suites is paired with a signature cocktail that matches the room's theme. Guests are given a complimentary card that can be redeemed at the hotel bar for their suite's cocktail. What could be better than a elegant suite and a complimentary beverage? The second suite I visited was the New York Dusk: Hudson River View Suite featuring shades of teal to reflect the waters of the Hudson. The 800 square-foot Hudson River View Suite offers a serene respite from the energetic scene of the city during the rush of late afternoon. 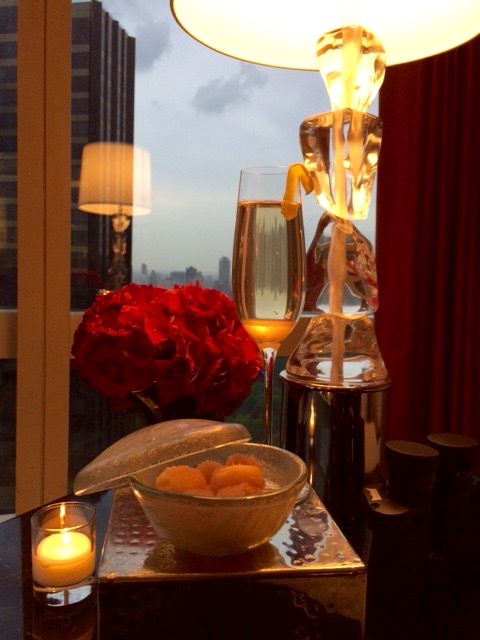 If you know me then it would not surprise you that my favorite suite was the New York Nights: Premier Central Park View Suite! 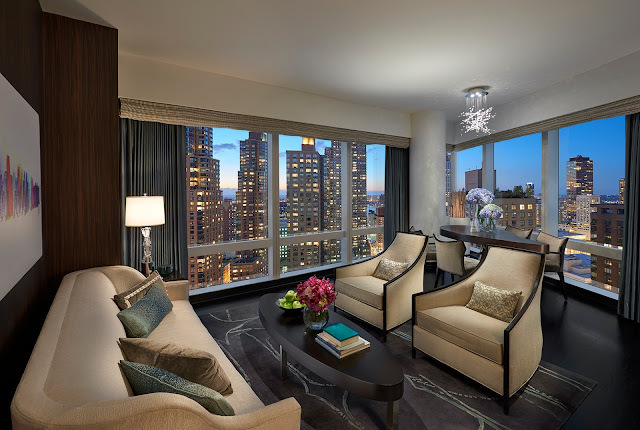 With panoramic views of Central Park and the glittering city skyline, the 800 square-foot one-bedroom and 1,220 square-foot two-bedroom Premier Central Park View Suite captures the moment at sunset when the city comes to life with vibrant tones of amethyst. 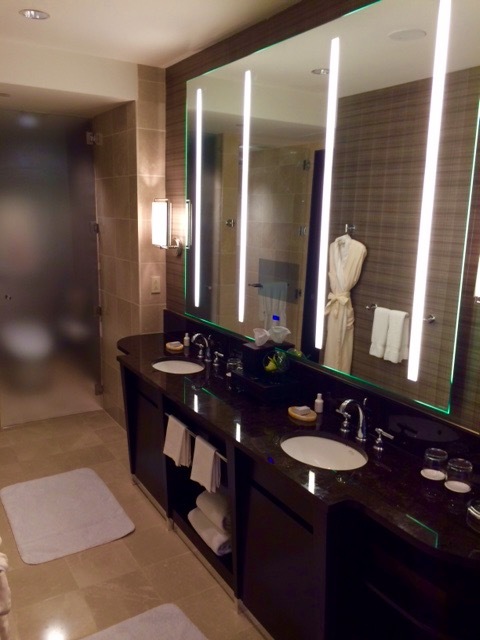 When I walked in to this suite I was blown away with how gorgeous and luxurious it felt. I said, "Of course I would fall in love with the New York Nights Suite." 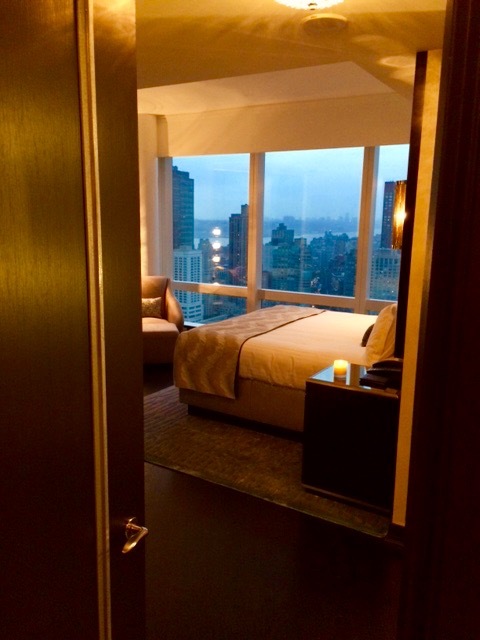 It is the perfect place to enjoy the gorgeous views of NYC and Central Park while getting away from all of the hustle and bustle of the hectic city. 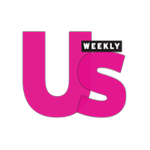 It is also the perfect place to have a few friends over for pre or post dinner cocktails. 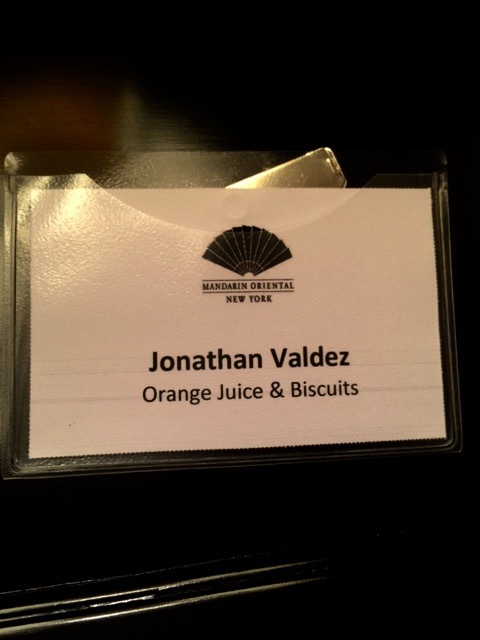 Thank you so much to Mandarin Oriental, New York for having me and OJ&B! 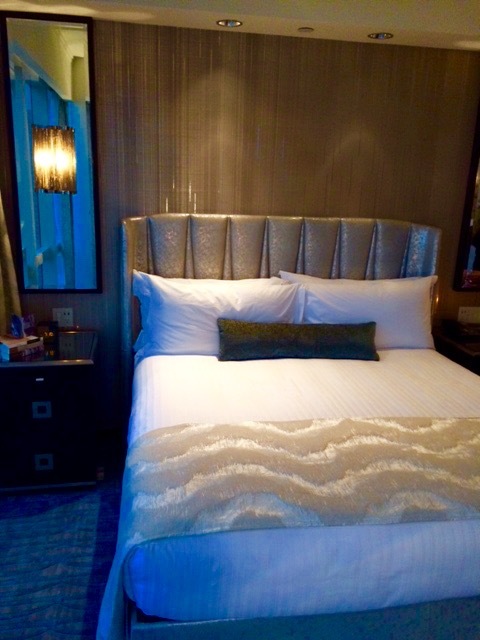 It was so amazing to see the exquisite new suites that I know guest will love!